Starytsky, Mykhailo [Staryc’kyj, Myxajlo], b 14 December 1840 in Klishchyntsi, Zolotonosha county, Poltava gubernia, d 27 April 1904 in Kyiv. (Photo: Mykhailo Starytsky.) Writer and theatrical and cultural activist. Orphaned in childhood, Starytsky was raised by his uncle, the father of Mykola Lysenko. 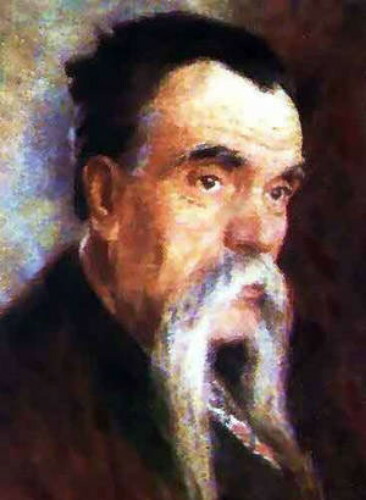 He studied at the Poltava gymnasium (until 1856), Kharkiv University (1858–60), and Kyiv University (1860–6). From 1867 he lived in Kyiv and worked with Lysenko. Starytsky collected and transcribed folk songs, which he published with music arranged by Lysenko. He wrote librettos for many of Lysenko's operas, such as Harkusha, Chornomortsi (The Black Sea Cossacks), Rizdviana nich (Christmas Night), Taras Bul’ba, and Utoplena (The Drowned Maiden). 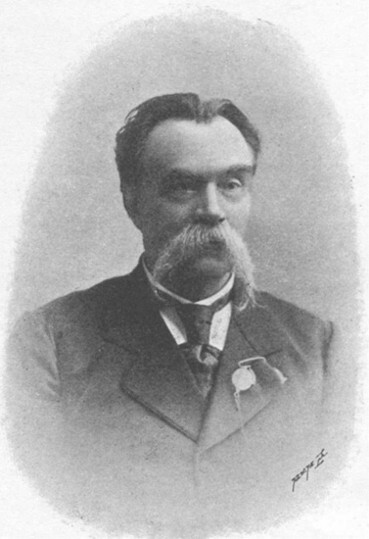 Owing to official tsarist hostility to his work after the Ems Ukase was introduced, Starytsky was forced to emigrate in 1878 and live abroad for some time. 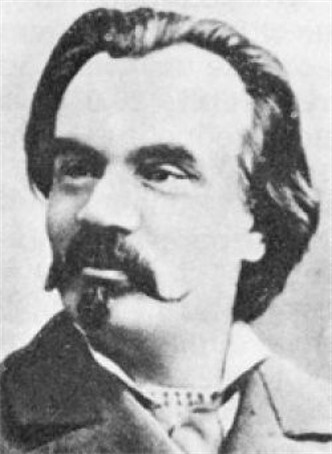 He returned to Ukraine in 1880 and resumed his publishing activities and theater work. In 1883 he headed the first Ukrainian professional theater. In 1885 he founded a new troupe with young actors. In 1895 he ceased his theatrical work altogether and devoted himself to literature. 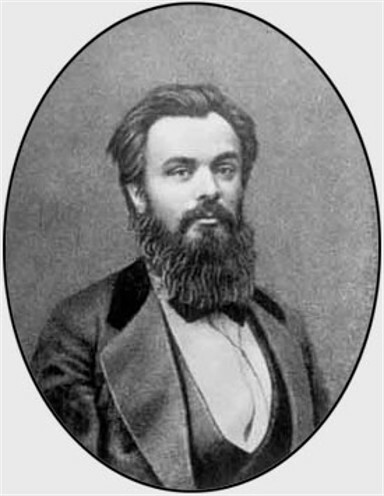 Starytsky was first published in 1865. His translations of the tales of H.C. Andersen were published under the pseudonym Starchenko in Kyiv in 1873. Also published in Kyiv were his translations of Serbian folk dumas and songs (1876), the collection of poetry Z davn’oho zshytku: Pisni ta dumy (From an Old Notebook: Songs and Dumas, [2 parts, 1881, 1883]), and other works. Particularly noteworthy is his translation of William Shakespeare's Hamlet (1882). An important part of Starytsky's literary legacy is his poetry on social issues, which is characterized by populist and patriotic motifs, glorification of the Ukrainian past, and protests against tsarism. 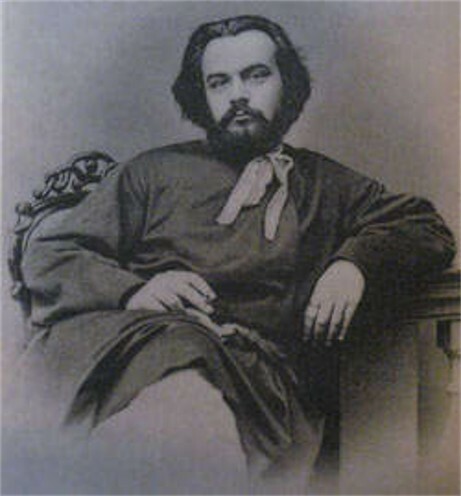 Starytsky also wrote lyric poetry, exemplified by ‘Monolohy pro kokhannia’ (Monologues on Love.) Some of the lyric poems became folk songs, such as ‘Nich iaka, Hospody, misiachna zoriana’ (Lord, What a Moonlit, Starry Night). 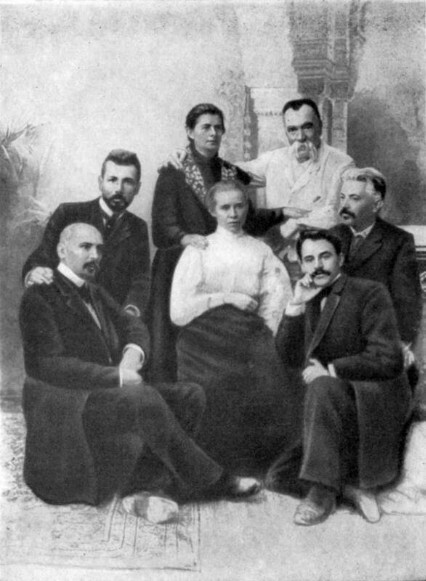 Starytsky's contribution to Ukrainian dramaturgy was large. He began by reworking prose for the stage and rewriting dramatic works, and proceeded to write many of his own, the most notable of which are the social dramas Ne sudylos’ (It Was Not Destined, 1883), U temriavi (In the Darkness, 1892), and Talan (Destiny, 1894). His drama Oi ne khody, Hrytsiu, ta i na vechornytsi (Don't Go to Parties, Hryts!, 1892) became very popular. His historical dramas: Bohdan Khmel’nyts’kyi (1897) and Marusia Bohuslavka (1899) merit particular attention. During the last years of his life Starytsky wrote the historical novel Obloha Bushi (The Siege of Busha, 1891), the novels Pered bureiu (Before the Storm, 1894) and Razboinik Karmeliuk (The Robber Karmeliuk, 1903), and other works in Russian. Collections of his works were published under the titles Poezii (Poems, 1908), Dramatychni tvory (Dramatic Works, 1907–10), Vybrani Tvory (Selected Works, 1954 and 1959), and Tvory v vos’my tomakh (Works in Eight Volumes, 1963–5). A referral to this page is found in 88 entries.